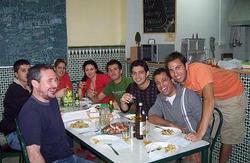 If you are looking for a sociable hostel to meet new people then look no further. We have daily events to make meeting other travellers very easy. We also have an exceptional location in the centre of historical Malaga on the streets Picasso played as a child (he was born on the next street which is now the Picasso fundacion/museum), there is also a statue of Picasso sat on a bench at the end of our street which no tourist can walk past without resisting stopping for a photo sat next to him. 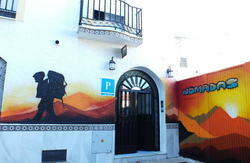 We are located on a small pedestrianized street next to the popular plaza Merced, surrounded by many bars and cafes. On our small street alone there is tapas, Japanese, Veggie, and Spanish restaurants. Our street is a very lively/vibrant street popular with locals during the evening which many of our guests love. We are located a short walk from all the other historical sights (see photo) so this gives you more time to hit the beaches (ten minute walk away). There is a supermarket and a indoor local produce market on the next street as well, where you can buy cheap and fresh food. Plus countless fast food joints less than a minute walk from the hostel. 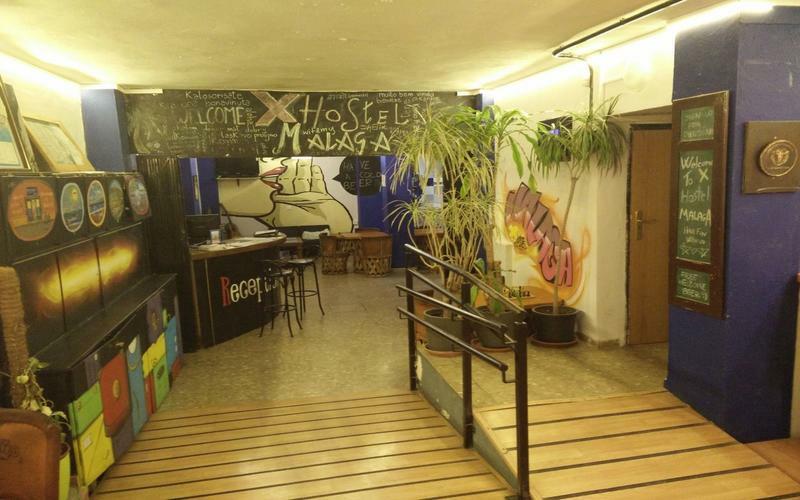 X Hostel is a chain of hostels owned by backpackers who know what makes a great hostel, we are not a huge hostel and this makes for more of a personal feel where you can get to know people easier, so why not come and join us for a great time at X Hostel Malaga - Picasso's Hangout!!! From the bus or train station, take bus 1 or C-1 ( from 6:30 a.m. to midnight.) to Victoria(plaza Merced). We are on the other side of the square, in Calle San Juan de Letran. 1) Take bus 7 A (from 7am to midnight), and step off at Paseo del Parque. When you get off the bus, cross this big avenue. Follow the street that is behind the tourist office. It leads along a high wall, which is part of the walk to the Alcazaba. At the end of this street going to the right you will see Calle Alcazabilla , a wide pedestrian street with the roman theatre on your right. At the end of Calle Alcazabilla you will get to Plaza de la Merced (Merced Square).Crossing the square diagonally you will see the Picasso Foundation and a bar called 'la Marced';. this street is Calle San Juan de Letran where the hostel is located at number 9. 2) Take the 'Cercanias' train till the last stop: 'Malaga - Alameda Centro' - Walk near the river in 'Pasillo Santa Isabel' street, continue on the right side to 'Calle Carreteria' and then straight into 'Calle Alamos' . Turn left in 'Calle Carcer' , you'll see the Cervantes Theatre, then the 2nd on the right is 'Calle San Juan de Letran where the hostel is located at number 9.